Recording 35 assists and shooting 62.1 percent from the field (41-66 FGs), the 2018 USA Basketball Women’s National Team (4-0) easily defeated Senegal 109-58 in exhibition play on Sunday afternoon in Antibes, France. With the USA leading from start to finish, the U.S. defense limited Senegal to an icy 28.0 percent from the field (21-75 FGs) and also compiled a 54-31 rebounding advantage. “I was pretty pleased with three of the four quarters, in which we played pretty good on both sides of the ball,” said USA head coach Dawn Staley (South Carolina). “There are some things we do have to clean up, some ill-advised shots, some turnovers, all contributed to not having one of our better quarters in the third quarter. A’ja Wilson (Las Vegas Aces) finished with 22 points; Morgan Tuck (Connecticut Sun) added 15 points; Kelsey Plum (Las Vegas Aces) contributed 12 points and nine assists; Brittney Griner (Phoenix Mercury) scored 10 points and grabbed five rebounds; and Tiffany Mitchell (Indiana Fever) finished with 10 points. Additionally, Napheesa Collier (Connecticut) dished out nine assists and grabbed eight rebounds, while Layshia Clarendon (Connecticut Sun) distributed five assists and collected eight rebounds. Overall, 64 of the USA’s points were scored by players coming off the bench. Four different starters scored to start the game off for the USA, which jumped ahead 8-0 just a few minutes into the contest. Adding points from four more U.S. athletes, the USA led 27-13 after the first period. By the end of the second quarter 10 of 11 U.S. team members had registered points, and the USA outscored Senegal 29-14 in the period to lead 56-27 at halftime. 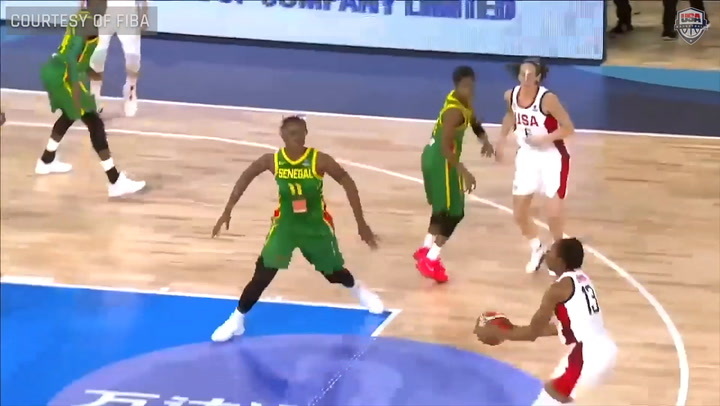 All 11 U.S. players had scored with 1:54 to play in the third quarter, when Elizabeth Williams (Atlanta Dream) put points on the board, but the USA also recorded seven of its 15 turnovers in the third period and only outscored Senegal by five points, 20-15, and the advantage was 76-42 headed into the final 10 minutes. The fourth quarter was the USA’s best offensive output, tallying 33 points, including 12 from Wilson, to Senegal’s 16 to earn the 109-58 win. 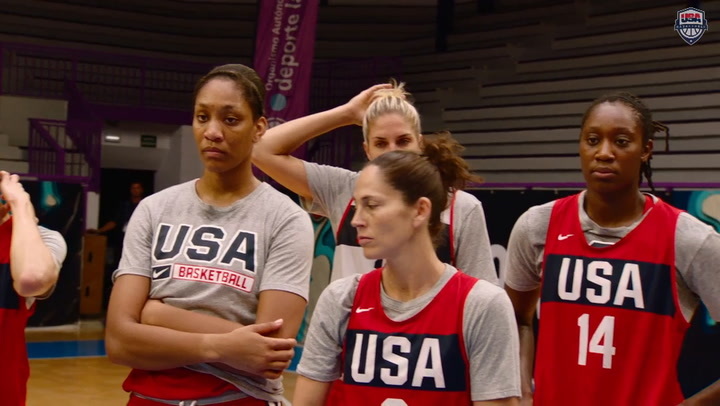 The USA wraps up its exhibition schedule against host France, which is the No. 3 ranked women’s program in the world, at 2:30 p.m. EDT on Sept. 17 (online stats). The 2018 FIBA World Cup in Tenerife, Canary Islands, Spain, begins for the USA against Senegal at 1 p.m. EDT on Sept. 22, followed by China at 1 p.m. EDT on Sept. 23 and Latvia at 1 p.m. on Sept. 25. After each team plays three preliminary round games, the second and third place teams from each of the four preliminary round groups will compete in the quarterfinal qualification games on Sept. 26, while the No. 1 teams from each group will advance directly to the Sept. 28 quarterfinals. The semifinals will be contested on Sept. 29 and the finals on Sept. 30. The USA will be in the hunt for a third-straight FIBA World Cup gold – a feat it has never before accomplished. Including four athletes who have not yet joined the USA in Europe due to competing in the WNBA Finals, the USA roster currently stands at 16 athletes. The official, 12-member roster will be announced prior to Sept. 22. 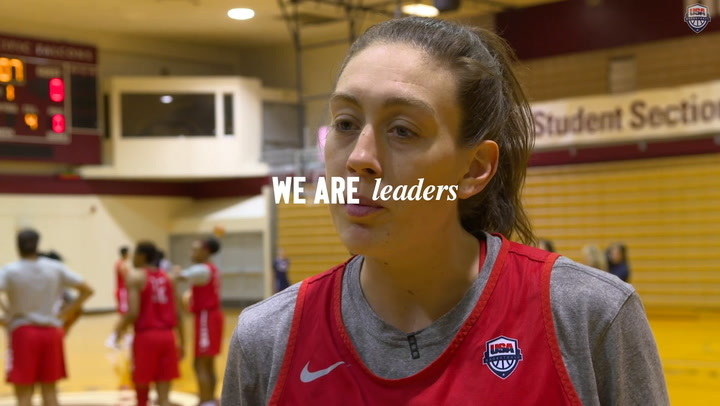 The USA assistant coaches are Cheryl Reeve of the Minnesota Lynx, Jennifer Rizzotti of George Washington University and Dan Hughes, who after leading the Seattle Storm to a WNBA title, will join the team in Spain.